Have you always dreamed of having a smile that could rival the Hollywood elite? Have you ever wondered what it would be like to flash a perfectly straight row of dazzling white teeth every time you smile for a photo? At Globe Dental Practice, the A-list smile you’ve always wanted is just a few appointments away! Our range of dental veneer treatments can dramatically alter the colour, shape and position of your teeth to achieve a natural, healthy, winning smile. Veneers are thin layers of porcelain which are specially develop to fit perfectly over the front surface of your tooth. They can also be used to close gaps in between teeth. Veneers are incredibly thin, and are held in place by a strong adhesive that makes them a permanent fixture. Veneers can make chipped teeth appear whole, and they can be used to bring the teeth in line if one tooth is out of position. This simple solution is a cost-effective alternative in circumstances where orthodontics wouldn’t be appropriate. If you decide to go ahead with dental veneers, we’ll prepare your teeth by removing a little enamel from the surface of the tooth, so that the adhesive will bond properly. We can use local anaesthetic for this, but it’s often not necessary. Once we’ve completed removing the enamel, we’ll take impressions and we’ll note the shade of the tooth to ensure that your veneers are a perfect fit. The veneers themselves will be created in a lab, and on your next visit, we’ll fit them over your teeth. Your perfect smile is complete! Veneers are a permanent cosmetic solution, which can last for many years before their require any maintenance or attention. They can be fitted quickly, with little preparation – many of our clients have had a full set of veneers fitted in just a week or two. Veneers start at around £400.00 here at Globe Dental Practice. How long will it take to fit my veneers? It’s important for us here at Globe Dental Practice to ensure your veneers are suitable for your mouth and for your smile in general. The first appointment will involve taking lots of impressions of your teeth to ensure that the veneers we create in the lab look and feel just right. The second visit, around a week later, will involve shaving the tooth slightly and taking more impressions of your mouth. At this appointment you will get temporary veneers to take home. The third visit. The temporary veneers are removed and your permanent veneers are fitted over your teeth , giving you a perfect smile. 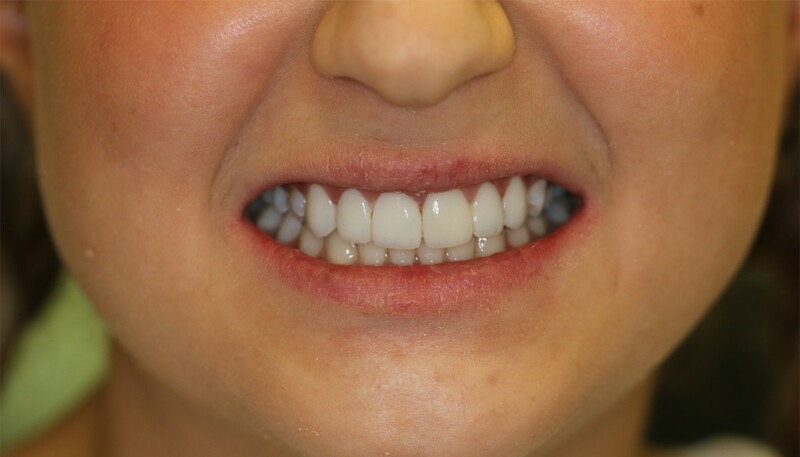 Many of our clients have completed veneer treatments in just one week for simple case using the cerec option. If you’d like to overhaul your smile and get that glamorous, A-list smile with dental veneers, contact our team today to discuss your options and book a consultation.